Our primary farming endeavor is raising 100% grass-fed beef. We practice rotational grazing, moving the entire herd to a fresh 2-acre parcel every day during the grazing season. This ensures the cows always have high quality food in front of them and a well-fertilized piece of ground behind them. During the winter, we feed hay cut from local fields. We make most of our own hay and purchase some additional hay from other local farmers. We are not “certified organic” but make every effort to meet or exceed national organic standards. We do not spray pesticides or herbicides on our fields, we do not use any routine antibiotics or other chemical agents on the animals, and we aspire to treat all livestock humanely with dignity and respect from birth through death. All our beef is processed at the small, family-owned Tarzia Meat Packing Co. in New Milford, and our sausage is made by Mountain Products Smokehouse in Lagrangeville, New York. Beef is regularly available for purchase Saturday mornings at the New Milford Farmers Market (May-Jan), Pawling Farmers Market (Jun-Sept) and our own farmstand here at the farm (Sundays 11am - 2pm, June-Sept, and by appointment all year long). Sadly, our own chicken flock has dwindled over the years due to predation. However, many of our neighbors have stepped up to fill the gap. We now run an informal “Sherman Egg Co-op” by buying eggs from our neighbors—all free-range, organic fed—and reselling the eggs at the farm. The supply does vary, so please check in advance or take your chances. We have a small, but growing perennial food forest (fruit trees, berries, asparagus, rhubarb, flowers, medicinals, etc) and a quarter-acre organic vegetable garden. 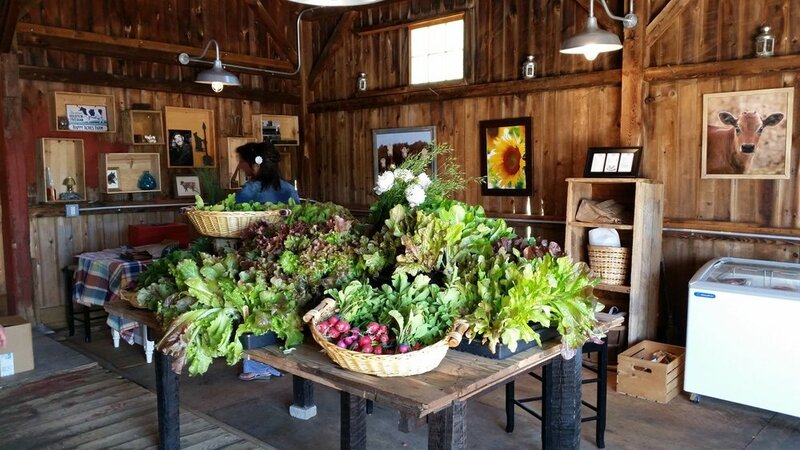 Fresh produce is available during the growing season through our CSA program. Please email for more details (info@happyacres.farm). We have a small herd of adorable Nigerian dwarf goats. They are primarily here for entertainment, but we sometimes milk a couple of them in summer. 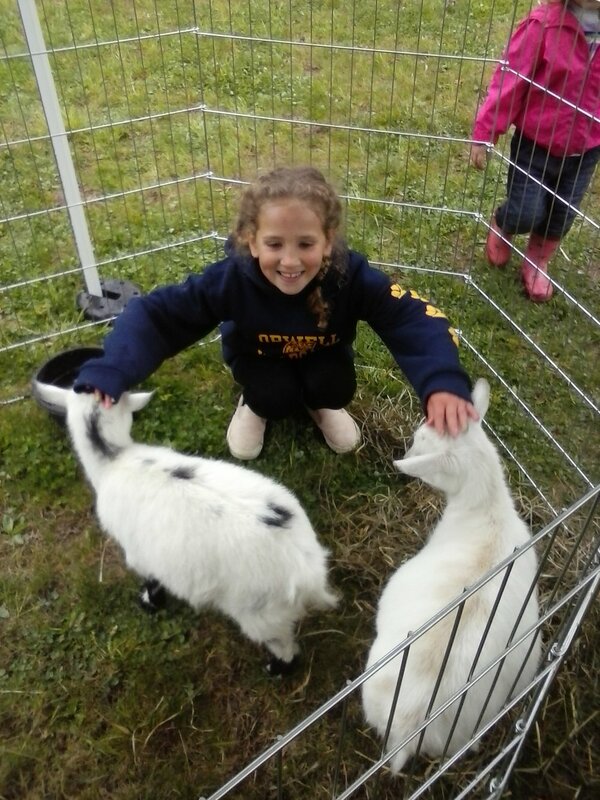 If you are interested in buying a goat or two for your own homestead, or learning about the health benefits of fresh goat’s milk, please email us for more details or drop by for a visit.